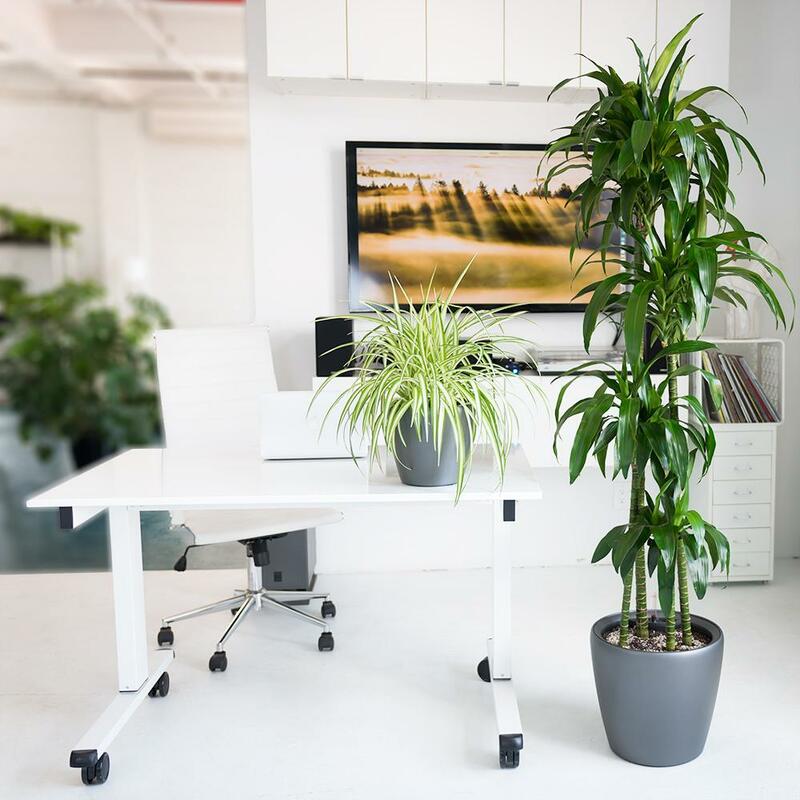 When looking into adding plants to your workspace, it’s important to take into consideration how much care they need: how often you need to water them, how much light they need, and whether you should fertilize them or not. 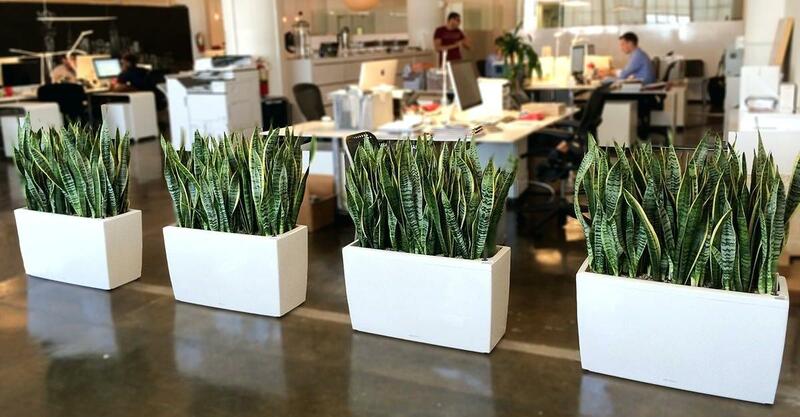 Adding plants to the workplace can help combat noise levels and also contributes to wellness in the workplace. 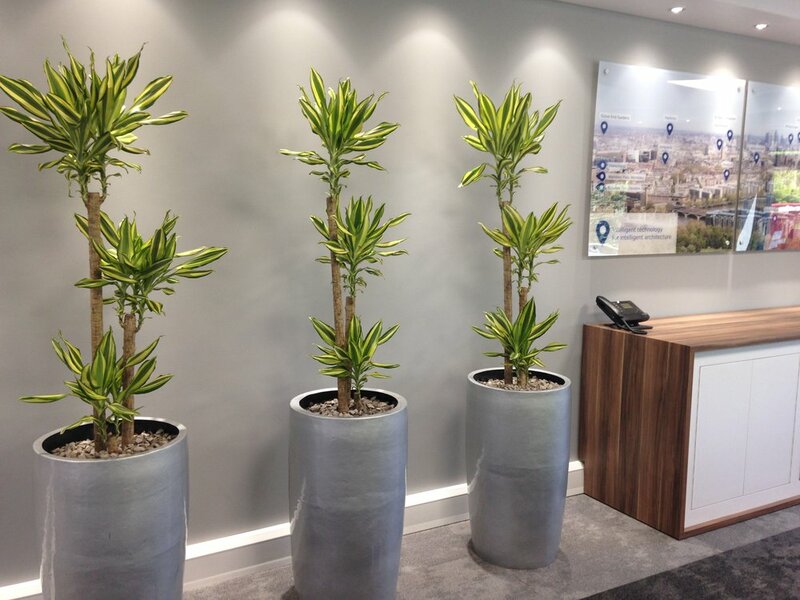 When choosing plants for the office, it’s important to think about how much care they need and the added benefits they can provide. 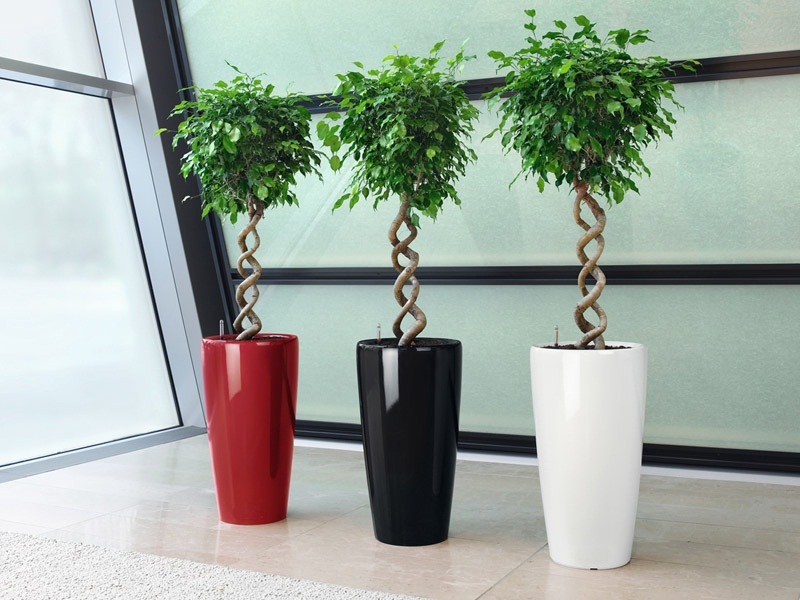 English Ivy, Snake Plant, and Bamboo Palm are great indoor plants that are low-maintenance. 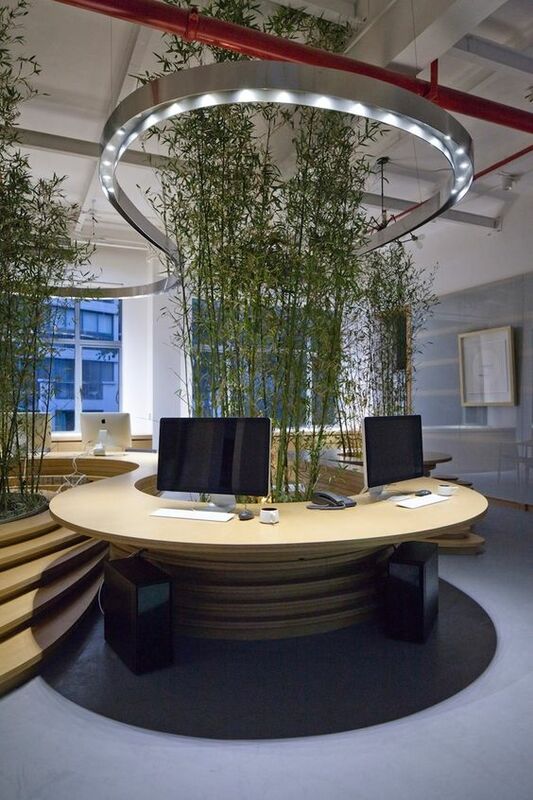 Adding plants to your workspace is one way to embrace biophilic design. 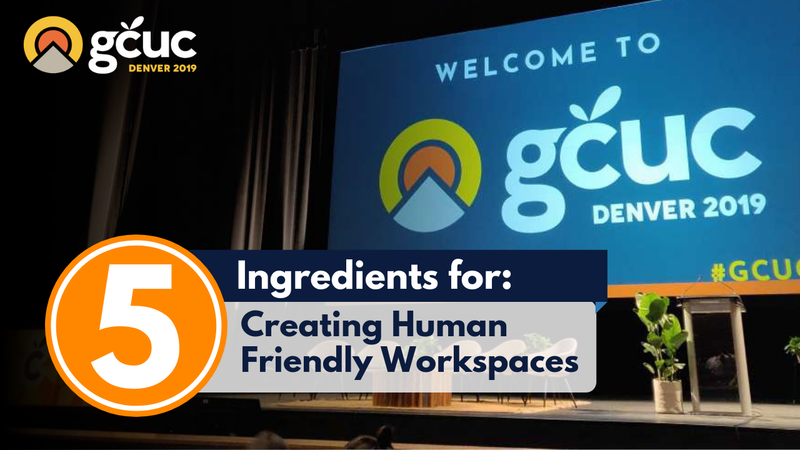 Incorporating them will not only contribute to wellness, but it will also help you tackle one of the the main problems associated with shared workplaces: noise. 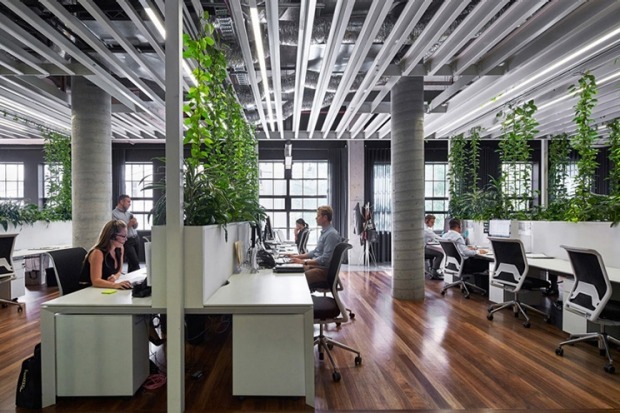 Plants, alongside other natural elements like wook and access to natural light, have made their comeback into the office in recent years as businesses seek ways in which to address wellness in the built environment. Yet, not all plants are created equal. 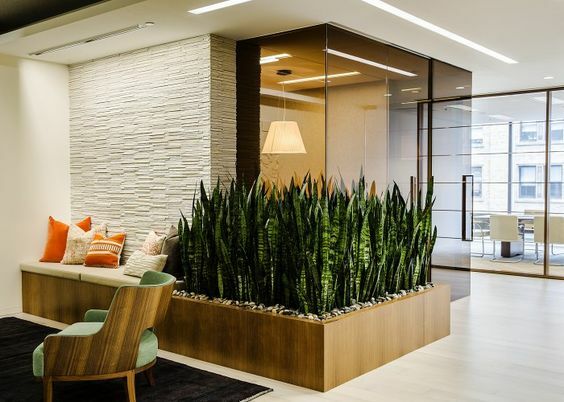 When looking at plants for indoor environments, it’s important to take into consideration how much care they need: how often you need to water them, how much light they need, and whether you should fertilize them or not. 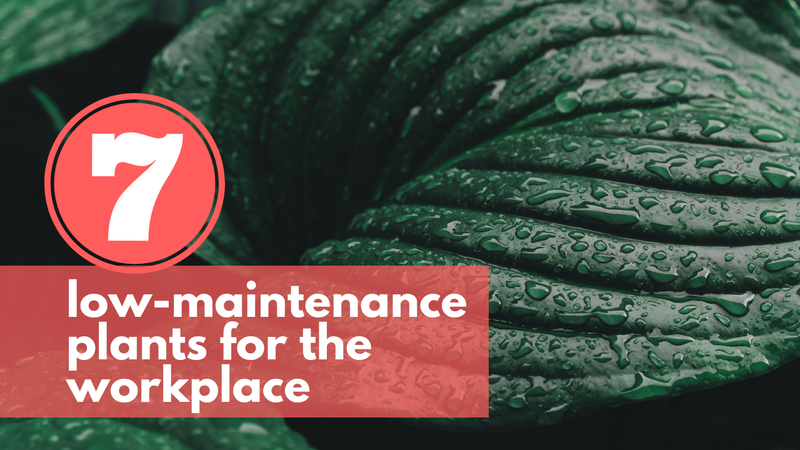 Here are 7 low-maintenance plants that can help you improve your workplace. Why: Also known as hedera helix, this plant is requires a lot of bright light to grow. It’s a particularly popular plant as it tends to stay green all year round. Moreover, english ivy has been shown to relax the airways and reduce coughs. 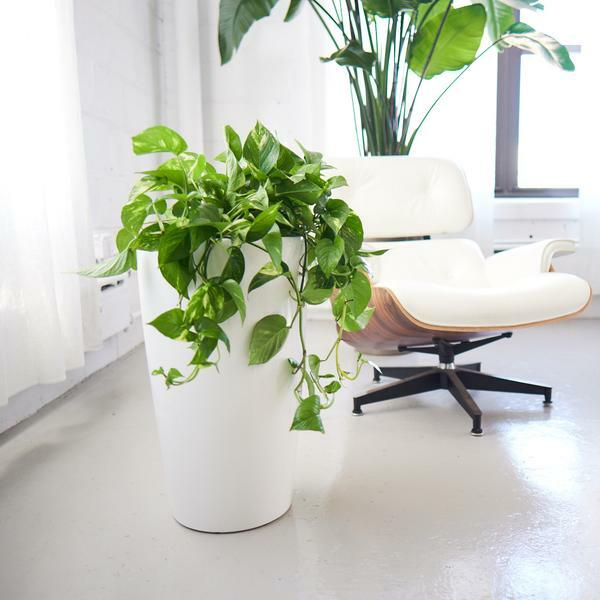 NASA named this plant as one of the top air-purifying plants as it has properties that help it eliminate toxins that are often to blame for indoor generated sicknesses. 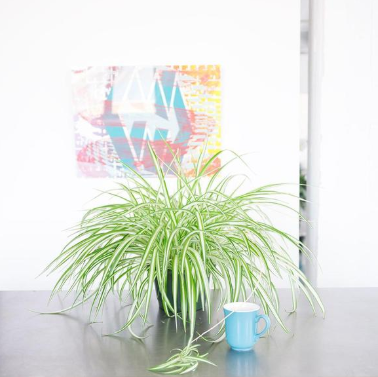 Taking care of it: You should water it when the soil feels dry to the touch; during warmer months you can mist the entire plant, but make sure you don’t over-water it. Why: This plant removes toxins often found in printing products, paint, carpet-cleaning products, and plywood, among others. 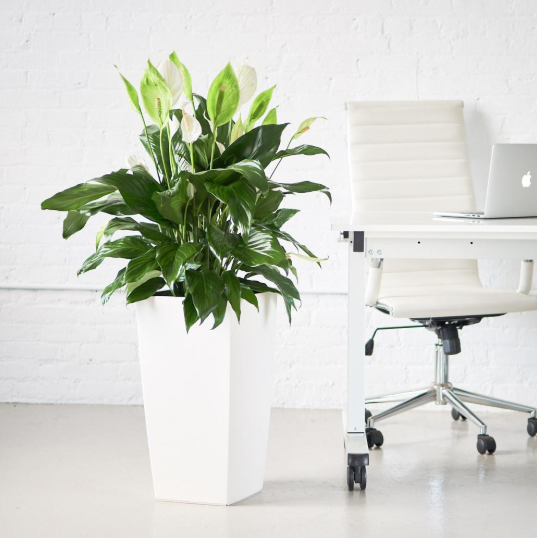 Additionally, this plant releases oxygen at night-time, which can help clean your workspace’s air. It’s also fairly easy to take care of it, as it thrives in both low and high light environments and can go weeks without watering. Taking care of it: Allow the soil to fully dry before watering and keep it in indirect sunlight. 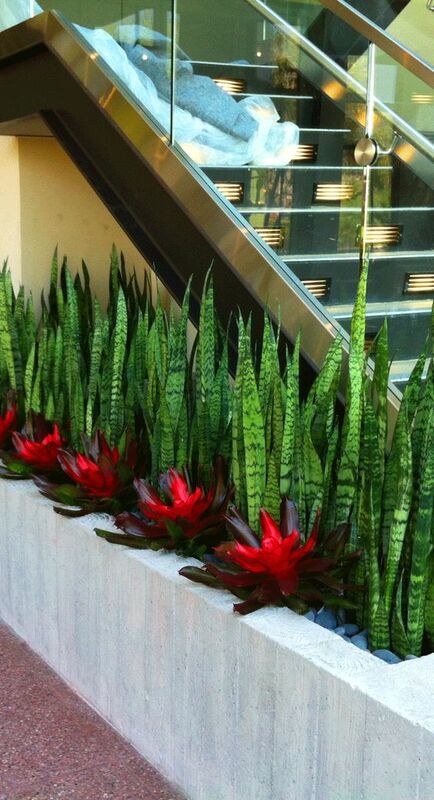 Why: According to NASA, this plant can remove up to 90% of the toxins found in indoor air. 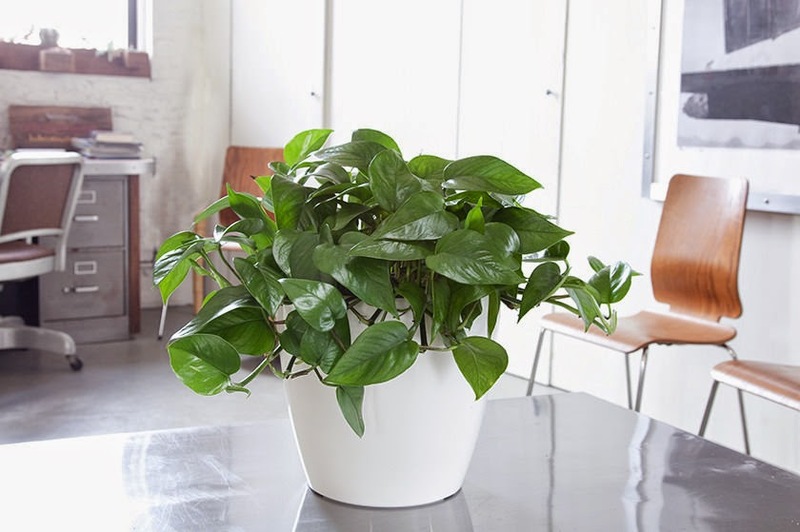 It’s easy to grow and its leaves absorb common allergens, as well as carbon monoxide. Moreover, they are also among the easiest plants to take care of and they contain insecticidal properties. Taking care of it: Place it somewhere with indirect, bright sunlight, and water it occasionally, making sure its soil stays moist. 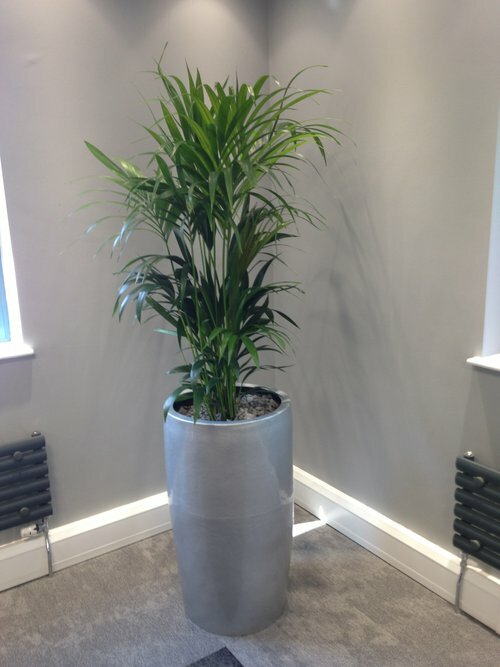 Why: These palms do well in full sun or under bright light and they are great at filtering and purifying air. 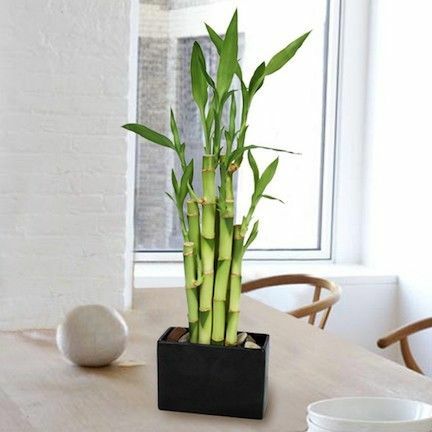 It’s a Feng Shui favorite as many believe bamboo brings luck. 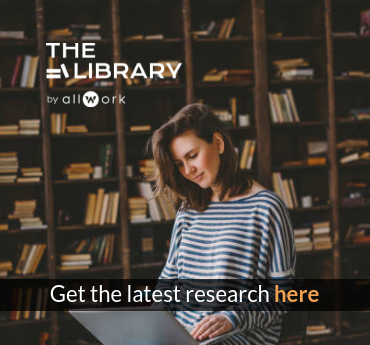 Moreover, research has shown that these palms have stimulant properties that can improve physiological or nervous levels. 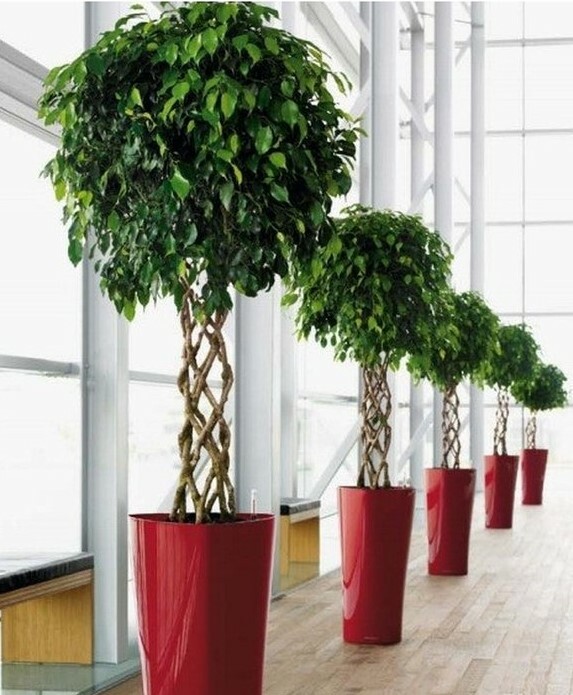 They can grow pretty tall, so make sure you place them in a high-ceiling area. 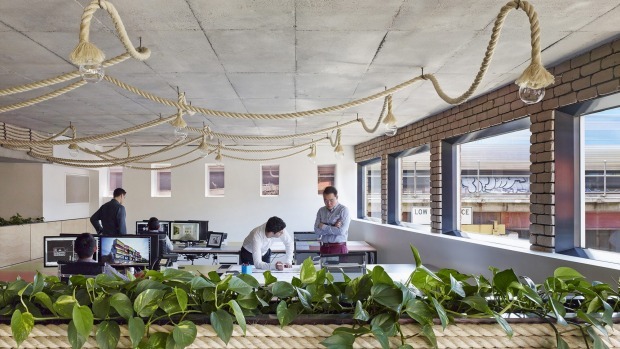 Taking care of it: They prefer bright, indirect sunlight or artificial light. Its soil should be kept moist and it should be drained after watering. They prefer warmer environments. 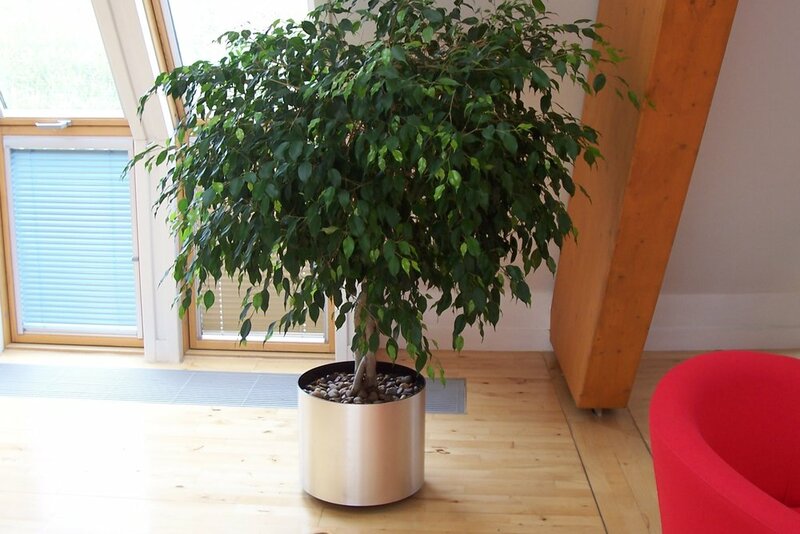 Why: Also known as ficus, this plant can help eliminate pollutants often found in indoor environments. This is a low-maintenance plant and although it can grow quite tall, there are dwarf varieties available. Taking care of it: This plant likes consistency, so try to keep it in the same place. Place it somewhere with bright, indirect sunlight and water it frequently. 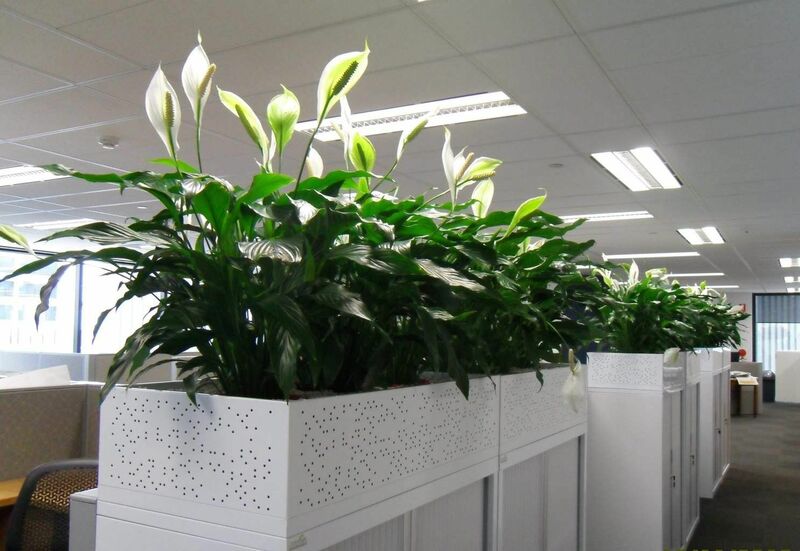 Why: Peace lilies can improve indoor air quality as it can reduce the levels of mold spores. 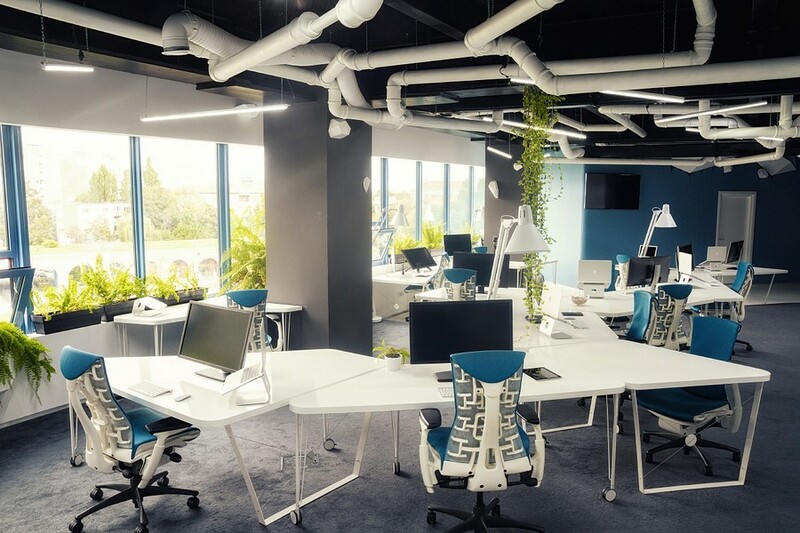 NASA’s analysis of indoor plants found that this was the most efficient plant in removing airborne volatile organic compounds. Taking care of it: Place it somewhere with indirect sunlight, water every now and then, waiting for the soil to dry out between waterings, and mist its leave to prevent them from browning. 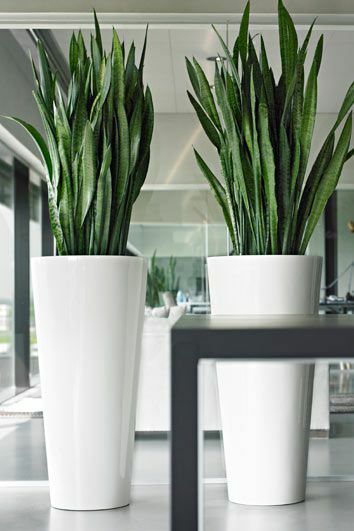 Why: This plant removes formaldehyde and it’s very easy to take care of. 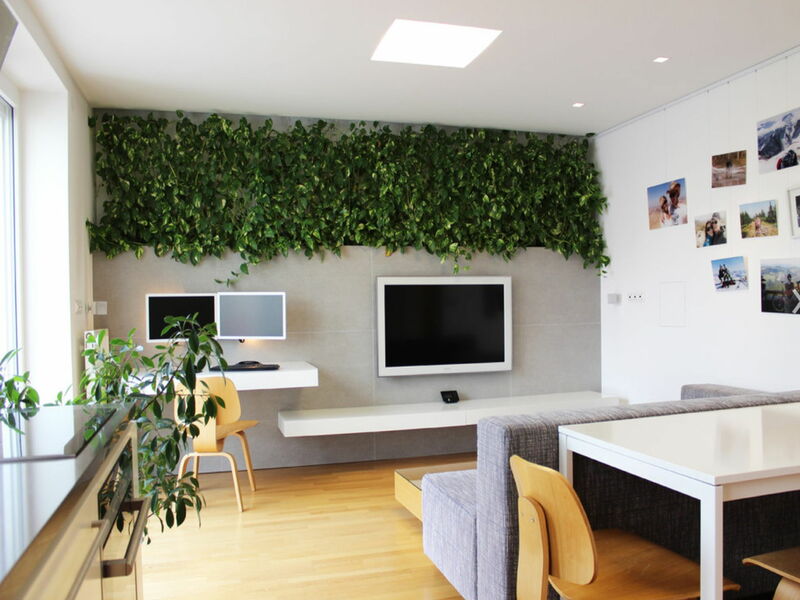 Its big leaves function as a sort of filter, as they absorb moisture and release clean air into a room. 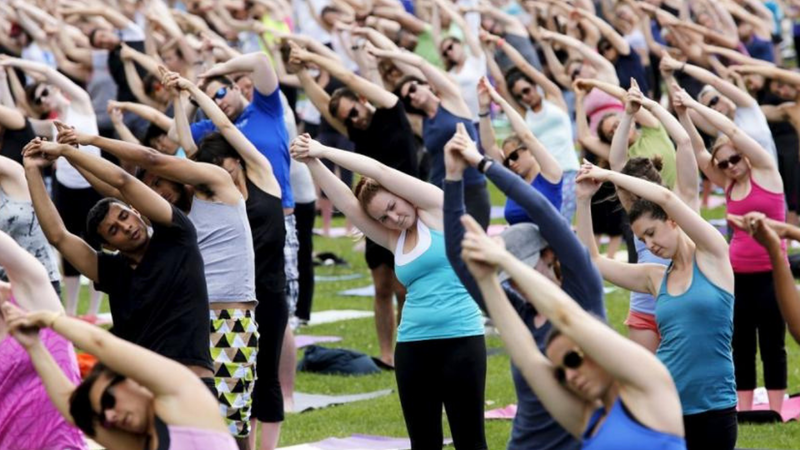 If you provide it with enough space, it can grow to be significantly big. Taking care of it: Allow for its soil to dry before watering it with lukewarm water and place in indirect sunlight. Spray its leaves occasionally to help it keep its lively green color year round.